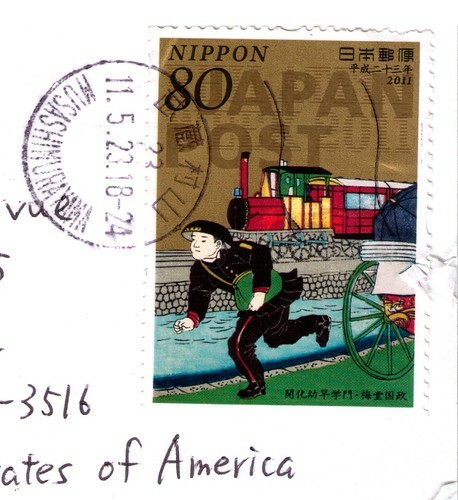 This wonderful stamp came to me on a Postcrossing postcard last month. It may be difficult to read from this scan, but the fainter letters, formed with horizontal lines, behind "Japan Post" read "Philately Week 2011." Do you think the smartly-uniformed gentleman on the run is a postman? I do! In any case I find the colors and illustration style very lovely. Great stamp! Thanks for sharing it with us.